Children of the 90s arguably had some of the best television shows. From Pokémon to Rugrats to Doug, cartoons from every major network made an impact on viewers. For religious children of the 90s, a singing and talking tomato and cucumber made their way into homes and left behind songs that are still stuck in their heads. For Caroline Romano, performing Veggie Tales songs to her parents at the age of 2 is her first memory of wanting to be a singer. “I was a pretty shy, reserved child, so music was my safe haven and main form of expression,” she said. She started playing guitar at the age of 8 and moved onto piano a few years later. When she was 12, she transitioned into songwriting. For her 13th birthday, she asked her parents to take her to open mic nights around Nashville. Although Nashville is where her music career began, her home state of Mississippi is where she was first exposed to jazz, bluegrass, indie and other unique sounds that she draws inspiration from. Romano knew from the day she wrote her first song that she wanted to pursue a career in music, and has been working hard ever since. She’s been able to perform alongside major acts such as Daya and Shawn Mendes, which she said was some of the greatest learning experiences for someone new to the music scene. “Those performances gave me a lot of hope for the future because I was able to see these artists as regular people who had worked extremely hard and to become very successful,” she said. She also currently has a duet out with singer/songwriter Jacob Whitesides called “Masterpiece”. It was one of the first songs Romano wrote and was grateful that Whitesides saw the same potential in it that she did. Her songs draw inspiration not just from her life but from life around her. She’s notorious for having inspiration strike as she’s people watching, and always makes sure to write down every idea that comes to mind – no matter how odd the idea may be. 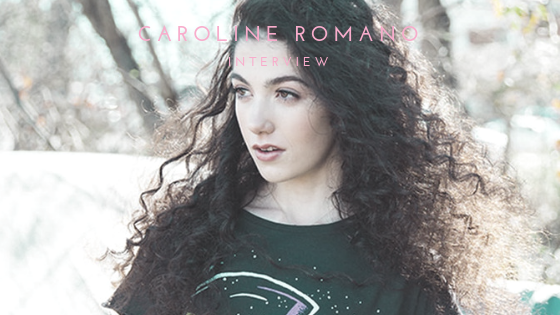 Whether she’s writing a song about a guy walking with his hands in his pockets, singing her best version of Veggie Tales songs, or playing an open mic night in Nashville, Caroline Romano truly feels like herself when music is involved.